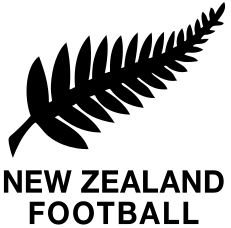 The FIFA World Cup 2014 intercontinental playoff matchup between 4th place CONCACAF and the OFC winner is set: Mexico vs New Zealand. The two teams will square off in a 2-leg playoff played on November 13 (at Mexico City) and November 20 (at Wellington). In a wild finish to the CONCACAF qualifiers, Mexico needed help from a long-time foe. Losing their match in Costa Rica, Mexico would need a draw or victory by USA over Panama. A victory by Panama would propel them into the CONCACAF playoff spot and eliminate Mexico. Tied at 1-1, Panama scored in the 83′ to take a 2-1 lead against the Americans, who already clinched 1st place in the group. After 90′ of play the home Panamanian crowd was stunned by two extra-time goals by USA, losing the match 3-2 and their shot at a World Cup playoff. As a result of the Panama loss, Mexico (2-5-3) remained in 4th place of the qualifying round to advance. The OFC winner, New Zealand arrives to the playoff winning all 6 of their last 6 qualifying matches. The All Whites are looking to qualify for their third ever World Cup (previous appearances in 1982 and 2010).